اشترك معنا الآن على الآيفون® و الآيباد® . موقع رائد في مجال عرض و إنتاج المسلسلات و الافلام التركية المترجمة و نملك كافة حقوق الترجمة و النشر © . 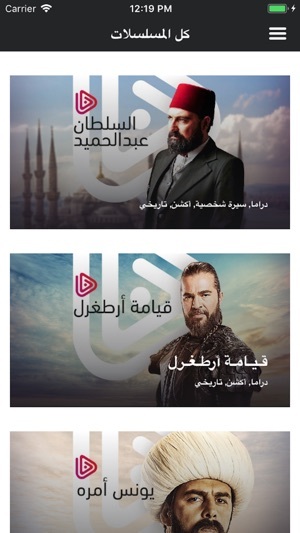 - يمكنك مشاهدة مسلسل قيامة أرطغرل بجودة فائقة الوضوح و العديد من المسلسلات التركية الاخرى . - يمكنك المشاهدة بعدة أجهزة مع الاشتراك . Subscribe Now in Your iPhone® or iPad® . 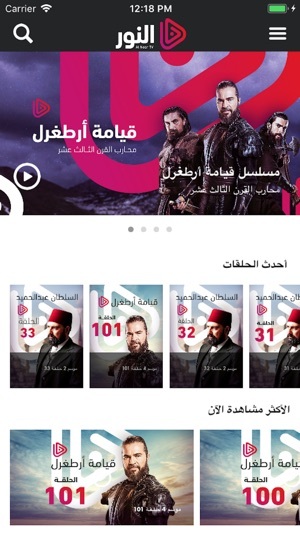 The official application of Alnoor TV. All Rights (Broadcasting and Arabic Language version) Reserved©. 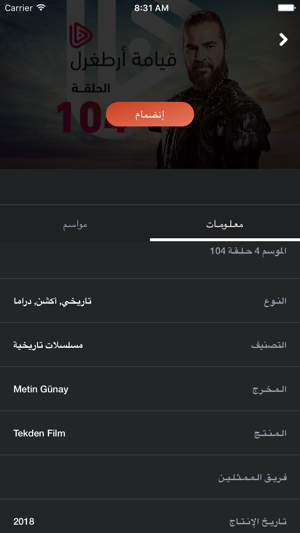 - You can Watch Diriliş Ertuğrul and many other Turkish series in Full HD Quality. ​​- You can watch on multiple devices when you subscribe. 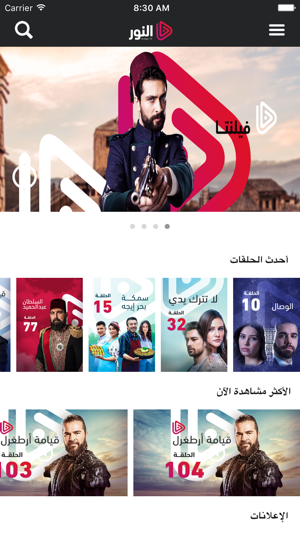 In order to access all the videos in AlnoorTV platform, we provide a Premium Account subscription model with two different durations; monthly and yearly. Upon your confirmation of purchasing any of these subscription durations, your iTunes account will be charged accordingly and unless you turn off your auto-renewable subscription at least 24 hours before the end of the current period, your account will be charged for renewal within 24 hours prior to the end of the current period. You can manage or cancel your subscriptions and auto renewals from your iPhone's Account Settings page. Any unused portion of a free trial period will be forfeited when you purchase the related subscription. Waste of money the interface is bad and hard to pause and watch later to much time loading the app breaks down lots of times and the screen freezes hard to maneuver. Please work on the problems as soon as possible. Nice to view shows anytime you want. Just needs to be able to cast on smart tv to watch on big screen like popular apps can. Such as you tube.